The Chocolaty Case of The Costume Conspiracy is a mystery in which your preteens will enjoy the challenge of figuring out what happened to the double chocolaty-chocolate chip cake during the annual costume party at the elementary school. Why not set the mystery in your local school and use the name of your kid's favorite teacher? Once a year at the (You name the school) Elementary School, everyone in the whole school throws a costume party in the school gym. The kids prepare weeks in advance and create all kinds of costumes — (You select the costumes), and even ghosts! Everyone makes their own costumes — even the teachers! There’s a best-costume contest, music, games, (You select the drinks), (You select the food) and, best of all…cake! But not just any kind of cake - it’s (You name the person)’s homemade, warm and fluffy, sweet and yummy double chocolaty-chocolate chip cake. (You name the principal), the school principal, never lets anyone eat sweets at school — except at the costume party. The party began the same as every other year’s party, with (Your principal''s name) on the stage telling a joke. "Hey kiddos! Do you know why the students ate their homework?" he asked. "Because the teacher said it was a piece of cake!" he chuckled. Nobody laughed. So, (Your principal''s name) told (Your cake baker''s name) it was time to start the games. Everyone started to move toward (Your name), when the lights went out! In the dark, all the kids started (You select what they did) while the teachers tried to (You select what the teachers did). With a swish-crash-clatter, (Your name) finally got to the switch and turned the lights back on. Over at the snack table, the punch bowl had crashed to the floor. The white table cloth was gone, and (Your name)’s double chocolaty-chocolate chip cake had disappeared! A special team of investigators has been assembled to solve this mystery and figure out what happened to (Your name)’s warm and fluffy, sweet and yummy double chocolaty-chocolate chip cake! They won’t leave until they solve the case. MR. SNACKUMS, Principal - He was dressed as a farmer and only likes his students to eat healthy food. 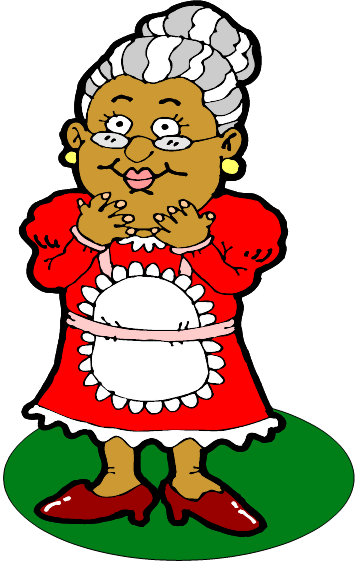 MRS. McGREEDY, Teacher and Baker - She was dressed like a friendly granny and only bakes the cake once a year. Sometimes thinks the students don't appreciate it. MISS SAPPY, New Teacher - She wore a blue fairy costume and has a real sweet tooth. MAGGIE MOUSER, Student - She was wearing a cat costume. But why was she hiding under the table when the lights came back on? BILLY BARKER, Student - He was in a dog costume and was eating everything in sight. FRANKLIN FEATHERBRAIN, Student - He was dressed as a clown - and was really acting the part at the party. PENNY PICAROON, Student - She thought that no one would suspect a girl would come dressed as a pirate. Everyone knows a pirate likes to steal things. DAVIE BANSHEE, Student - No one knows why he came dressed as a ghost - especially since he's scared of the dark. JOSHUA SNOOPER, Student - He arrived late to the party and also wore a ghost costume that looked like it was thrown together quickly.